Revolution Software has announced the creation of a new division called Revolution Pocket. Mandated with “creating and publishing narrative-based handheld entertainment,” one of the company’s first efforts will be “Beneath A Steel Sky - Remastered” for the iPhone and iPod touch. It’s planned for a fall release. Pricing wasn’t announced. Get ready for some classic point-and-click adventure gaming with a thoroughly mdoern update. 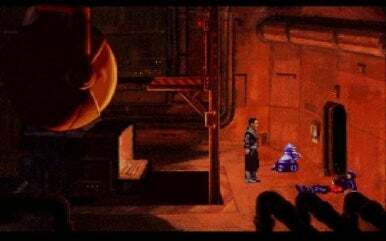 Beneath A Steel Sky first debuted in 1994 for the PC and Amiga platforms. It’s a cyberpunk point-and-click adventure game depicting a dystopian future in Australia. The original game featured a comic book created by Dave Gibbons, whose credits include co-creation of the classic Alan Moore title Watchmen, and Revolution Pocket has announced that the remastered game will include new animated movies from Gibbons. Revolution Pocket plans to release classic titles from its back catalog along with new games. The company’s library includes “Broken Sword: The Shadow of the Templars,” an adventure game released for PC and PlayStation.